New research suggests that 7 out of 10 children in the US have low levels of vitamin, nudging millions of them toward higher risk of bone disease, high blood pressure and other risk factors for heart disease. The study was led by Dr Michal L. Melamed, assistant professor of medicine and of epidemiology and population health at Albert Einstein College of Medicine at Yeshiva University, Bronx, New York, and is published in the 3 August online issue of Pediatrics. A 65-year-long study finds that people who took in lots of calcium and dairy products as children tended to avoid stroke and live longer than those who didn’t. “This study shows a modest protective effect of dietary calcium intake in childhood against stroke risk later in life, and a modest protective effect against mortality from any cause from higher intake of milk in childhood,” said Dr. David L. Katz, director of the Prevention Research Center at Yale University School of Medicine. He was not involved in the study, which was published in the July 28 online edition of Heart. Emerging research suggests that nutritional factors including vitamin D, magnesium, and others may influence the risk and progression of cardiovascular disease. The new data on nutrition and heart disease were the topic of a recent symposium and are summarized in the July issue of The American Journal of the Medical Sciences (AJMS), official journal of the Southern Society for Clinical Investigation (SSCI). The journal is published by Lippincott Williams & Wilkins, a part of Wolters Kluwer Health, a leading provider of information and biomedical intelligence for students, professionals, and institutions in medicine, nursing, allied health, pharmacy and the pharmaceutical industry. “The prospect that macro- and micronutrients may play an important role in the appearance of diseases of the cardiovasculature and their progressive nature is both intriguing and provocative,” according to the article’s preface by Dr. Karl T. Weber. The article highlights key findings presented at the SSCI’s Annual Scientific Session in New Orleans earlier this year. The symposium was presented in conjunction with the SSCI’s Cardiovascular Club and the International Academy of Cardiovascular Sciences/North America. One in seven young adults in Canada is deficient in vitamin C, according to a first-of-its kind study published today. 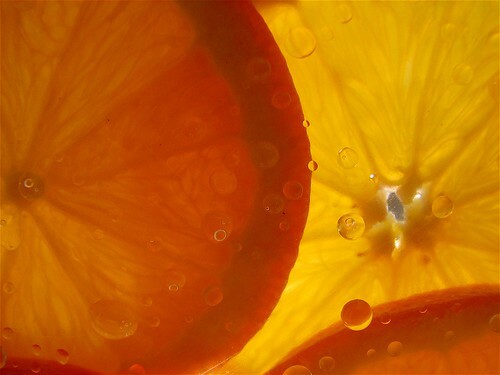 The findings, published in the American Journal of Epidemiology, suggest that young adults with a vitamin C (ascorbic acid) deficiency have significantly higher waist circumference, body mass index, inflammation and blood pressure – indicators of chronic disease and obesity – than do people with adequate blood levels of vitamin C.
The study – supported by the Advanced Foods and Materials Network, a national Network of Centres of Excellence – was conducted by University of Toronto researchers Ahmed El-Sohemy and Leah Cahill of the Department of Nutritional Sciences and Paul N. Corey of the Dalla Lana School of Public Health Sciences. Called Vitamin C Deficiency in a Population of Young Canadian Adults, the study involved 979 Toronto-based participants between the ages of 20 and 29. B vitamins are essential nutrients for growth, development, and a variety of other Bodily functions. They play a major role in the activities of enzymes, proteins that regulate chemical reactions in the Body, which are important in turning food into energy and other needed suBstances. B vitamins are found in a variety of plant and animal food sources. The B vitamins are eight water-soluBle vitamins that play important roles in cell metaBolism. Historically, the B vitamins were once thought to Be a single vitamin, referred to as vitamin B (much as people refer to vitamin C or vitamin D). Later research showed that they are chemically distinct vitamins that often coexist in the same foods. Supplements containing all eight are generally referred to as a vitamin B complex. Individual B vitamin supplements are referred to By the specific name of each vitamin (e.g. B1, B2, B3 etc.). Each Vitamin is typically used in multiple reactions and, therefore, most have multiple functions. Promotes healthy bone growth, vision, reproduction, cell division and specialization and helps regulate the immune system. Sources include whole milk, liver, eggs, some fortified breakfast cereals, carrots, sweet potatoes, spinach and most darkly colored fruit and vegetables. Absorbic Acid. The human body is unable to store Vitamin C and unless replenished constantly, symptoms, the most commonly known of which is scurvy that can become fatal, will quickly occur. Vitamins are the complex organic substance essential in small quantities to the metabolism (nutrition) in most animals. These are found in minute quantities in food, in some cases are produced by the body, and are also produced synthetically. The human body needs them to work properly, so that we can grow and develop just like we should. Their deficiency results in many serious disorders. Vitamins are divided into two major groups: the ‘fat-soluble vitamins’ designated as vitamin A, vitamin D, vitamin E, and vitamin K, and the ‘water-soluble vitamins’ which include vitamin C and the group of molecules referred to as the vitamin B complex. Each of them has its own special role in the development of human body.